A well presented family home located in a popular road close to shops at Hamsey Green and within a short walk of Warlingham High School. The property enjoys a light and spacious Lounge, separate Dining room with space for sofa and a large square bay window overlooking the rear garden. Off the Dining room is the modern Fitted Kitchen with a range of cream units and a window overlooking the rear garden. 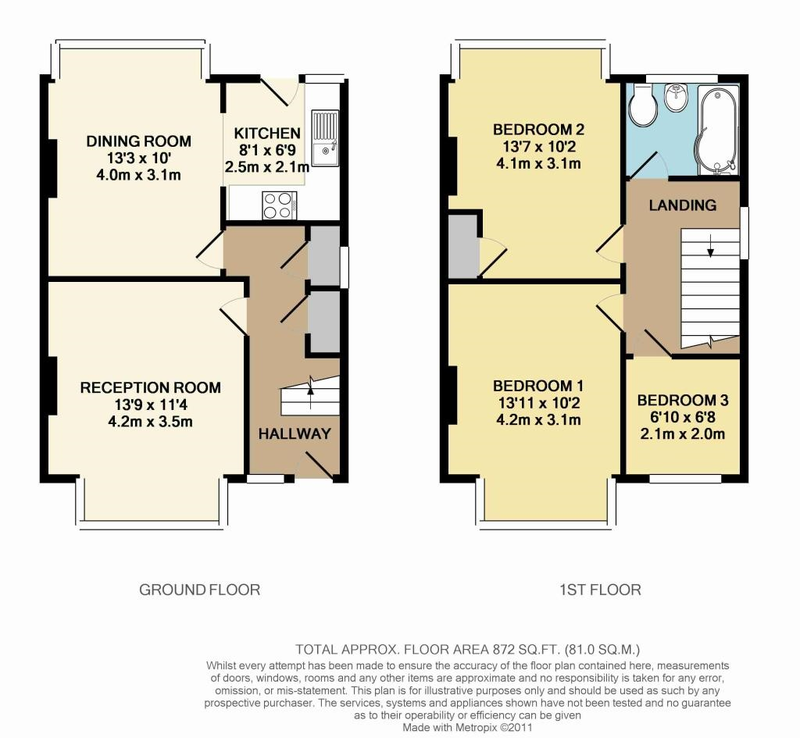 To the first floor are the 3 Bedrooms and a delightful Family Bathroom having been recently re-fitted. The Rear Garden is level and mainly laid to lawn with gated side access, and timber summer house. To the front is Off Street Parking. Hamsey Green Gardens is a horseshoe setting comprising similar housing located off the Limpsfield Road within a short level walk of shops, buses and schools to include Warlingham High. Open spaces are in abundance to include Riddlesdown Common and Kings Woods.